Women migrant workers are the main breadwinners of their families. They are playing a vital role in human resources development by supporting children's education. Bangladesh has started sending women workers abroad since 1991. Since then, over 0.75 million women have gone abroad, mostly in the Middle East (ME). About 90 per cent of them are recruited in the house-keeping sector. Despite their contribution, they have not got safe environment at their workplaces yet, especially in the Middle Eastern countries. Women workers receive maltreatments such as sexual, physical, psychological and denial of wages. In recent months, a large number of women workers returned home from Saudi Arabia after being subjected to abuses. A significant number of women were also forced to return home from other countries, including Lebanon, Oman, Qatar and Jordan because of workplace violence. Recently, the returning of women from Saudi Arabia has made a public outcry. According to workers and official statistics, since January this year more than 1,500 Bangladeshi house maids have returned home only from Bangladesh embassy's safe home in Riyadh and Saudi immigration camps. The number of returning workers is still rising. 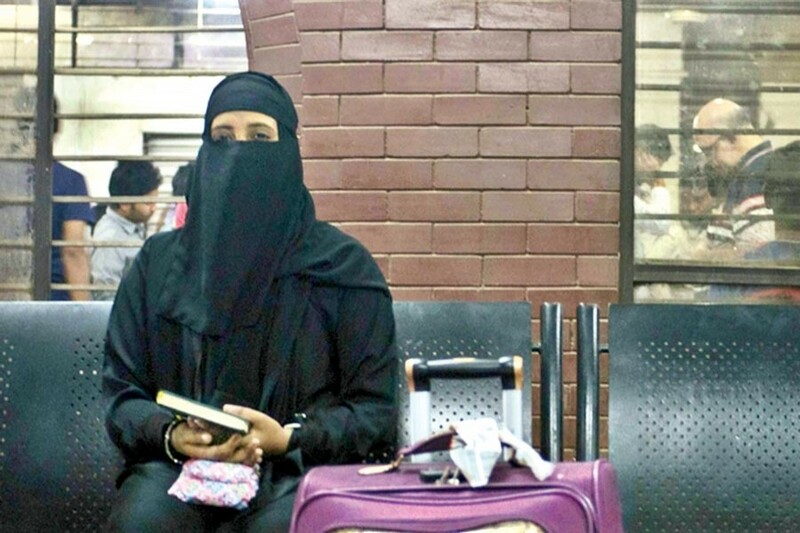 Experts and migration activists said many women are also repatriated from Jeddah. But there is no official data on how many workers are coming home because of abuses from Jeddah. If the figure is included, the number of returning women will be higher. After returning home many workers narrated their sufferings to the FE. They also showed their wounds of how brutally they were tortured by their employers. Many women even could not bring in their hard-earned money when they returned. Taslima Aktar (not her real name) who returned home from Saudi Arabia, recently said she was abused sexually by the employer's son. "After two months of my joining, the employer and his wife offered me to marry her second son only for the duration of my contract period," said Ms Aktar, who is the mother of one child. They put pressure on Tina in many ways. But the 29-year-old woman didn't agree with this proposal. So she was beaten ruthlessly. "I couldn't sleep properly at night as the man would knock at the door. After that I escaped the employer's house and reported to the police station. But the police took me again to that house," said Ms Aktar. After a long struggle, she managed to reach safe home and finally returned to Bangladesh. She said like her, some 27 women returned home in the same flight while more than 70 were still waiting at the immigration camp in Riyadh. She urged the government to help other female workers, staying at safe homes and immigration camps to get back home. Rozina Begum, who came back home four months back, told this correspondent that she could not bring any money from the KSA as her employer kept all banking documents. When she asked for the paper, the employer's wife beat her mercilessly. Now she is facing acute crises of cash. Family members like sisters and brothers are misbehaving with her as she returned home empty-handed. "I don't know how I can survive," said Rozina Begum. Not only the employers, but also the Bangladeshi recruiting agents tortured her when the woman was taken to their local offices. Kulsum Aktar, another returning woman, said sometimes employers send domestic helps to Moktob (recruiting agency's office) if the workers do not want to continue their jobs due to exploitations. "Instead of listening to their complaints the Moktob officials tortured them again," she said. So the women have no relief from ill-treatment there, she added. Though a significant number of women workers returned home from the oil-rich country due to exploitations, not a single case was filed against their employers, rights campaigners said. Of the total returning workers, at least 21 women became traumatised and underwent treatment at the National Institute of Mental Health (NIMH). Some women became pregnant and they are now abandoned by their families, said rights activists close to the matter. Besides, the future of women is now uncertain. The families and societies are considering them a burden. Some of them have already been divorced by their husbands. Family members including children have declined to give shelter to them at their home. Although a large number of women returned home, the ministry of expatriates' welfare and overseas employment officials said a few women were subjected to abuse, which is very 'natural'. They also said the women don't want to go for legal action against their employers as they want to return home quickly. Meanwhile, the outflow of women workers to Saudi Arabia remains steady this year despite a large number of domestic helps returned home following torture. A total of 53,609 Bangladeshi women went to the oil-rich country with jobs during the third quarter of 2018. A total of 83,354 female workers went to the Arab country in 2017, the state-run Bureau of Manpower Employment and Training (BMET) data showed. Shakirul Islam, chairman of Ovibashi Karmi Unnayan Programme (OKUP), said the government should take a proper policy to ensure the protection of domestic helps in Saudi Arabia. "We can't throw our women workers into a risky situation. So the government should be alert about the protection of women workers," he observed. He also said it is unfortunate that so far no legal action has been taken against the respective employers. "If justice is not ensured, such exploitations will not be stopped. Bangladesh embassy has a duty to provide legal support to the victims," Mr Islam added. The international community should also raise voice strongly against the violence, he said. Bangladesh and Saudi Arabia inked a deal on the recruitment of domestic helps in 2015. Over 0.2 million women have gone to the Gulf nation since the deal was signed, according to the official data of BMET. Sector insiders said some 5,000 women have returned home from Saudi Arabia in last three years, compelled by workplace exploitation. Meanwhile, the expatriates' welfare ministry has tightened the selection process of Saudi-bound women workers to help reduce workplace exploitations. Under the process, a team headed by a BMET senior official, takes follow-up interview of women outbound workers after completing their 30-day mandatory pre-departure training. But migrant rights campaigners said only such training will not be helpful to eliminate abuse. Monitoring system should be ensured by the Bangladesh embassy. Saudi employers should also be trained in how to behave with domestic workers, they said. "Such exploitations can be prevented only through skill training of women," said Sumaiya Islam, director of the Bangladesh Ovibashi Mohila Sramik Association (BOMSA). She said protection also should be ensured by the authorities of the job destination country. The writer is a Staff Reporter at FE.